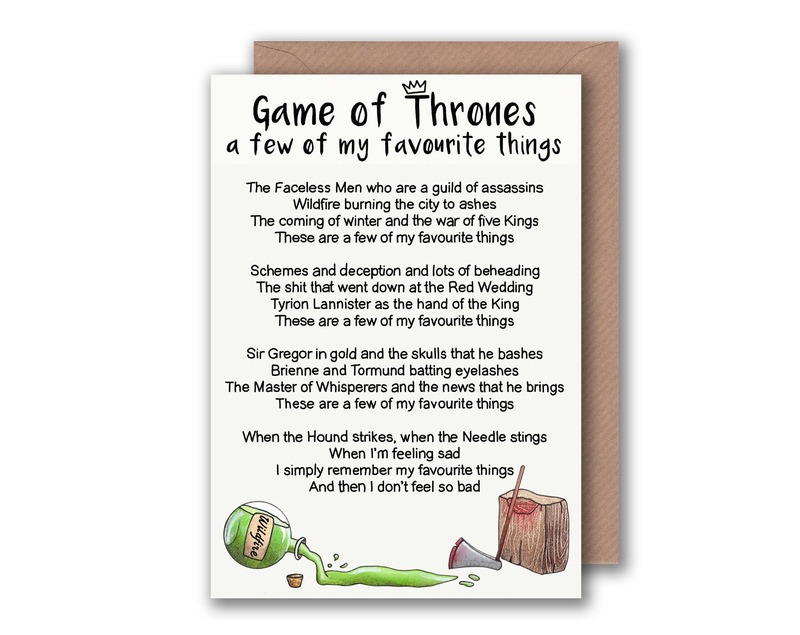 'A Few of My Favourite Things' - Game of Thrones greeting cards are printed on 300gsm TruCard, a specialist greeting card material that is coated and scratchproof on the outside and uncoated on the inside so it's easy to write on. 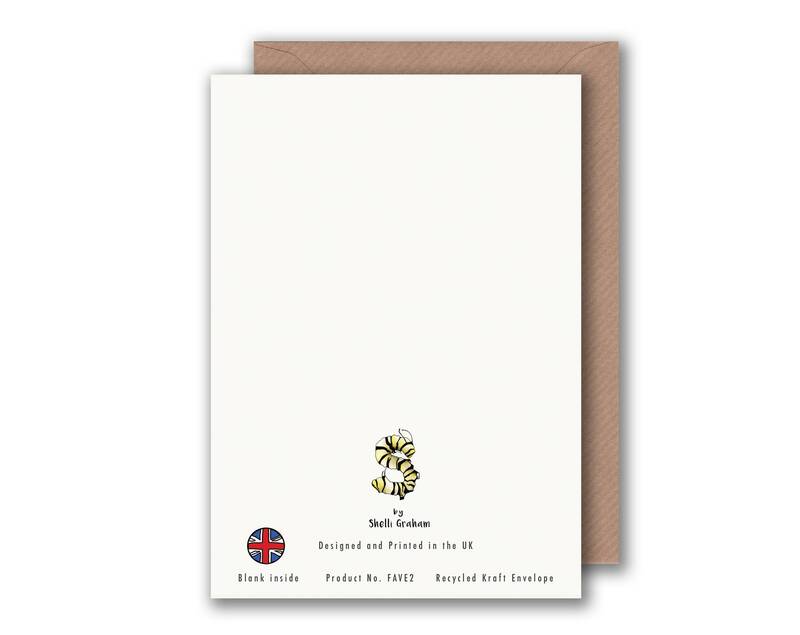 A lovely illustrated card that made a wonderful gift for a friend! 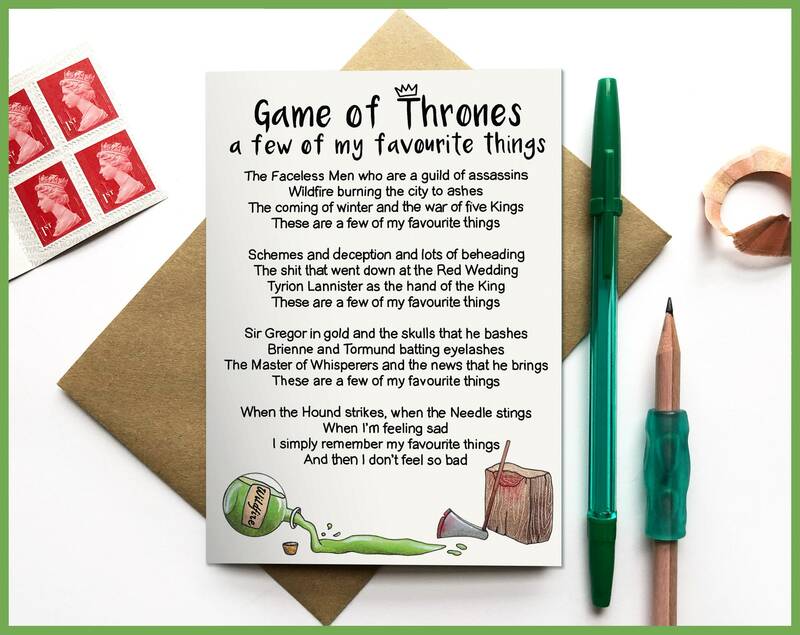 Thank you so much, it was my cousin's birthday the other day and he loved this card! I was thrilled with the quality of it and the fast delivery! The verse is wonderful! Thank you, will use again!